There is no exaggeration in this statement. The AVAST Community keeps helping us by sharing security Tips, supporting each other on the AVAST forum, helping to translate our product, most importantly, by recommending our products. You also helped us create the great communities across social media. Every day thousands of AVAST users gather on Facebook, Twitter, Google+, and Instagram to praise the AVAST products, ask us questions, request support, or simply share your AVAST stories. It is extremely valuable for us to receive your feedback, positive or negative. Positive comments stimulate and motivate us for further hard work; negative one helps us to improve our service and products. Following our blog from January 2013, we would like to share with you some of the messages we have received lately on social media. 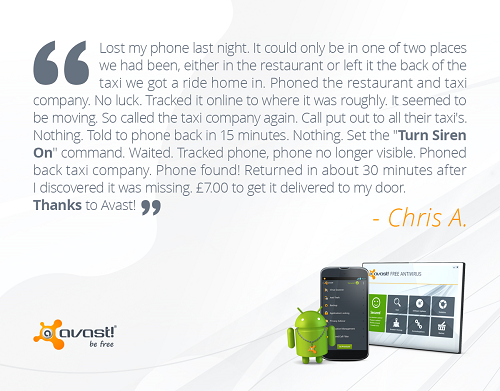 Tell us your AVAST story, and we will share it with our Community. Thank you all!